We all have books that we love, that we go back to again and again, right? Not only is Narnia my favorite place to escape to, but the day I first stepped through the wardrobe with Lucy Pevensie is also one of the most vivid memories of my childhood—it was, after all, the day I fell completely and totally in love with books. And so you can imagine my absolute delight when Patti Callahan brought me her novel about Joy Davidman, the woman beside C. S. Lewis. 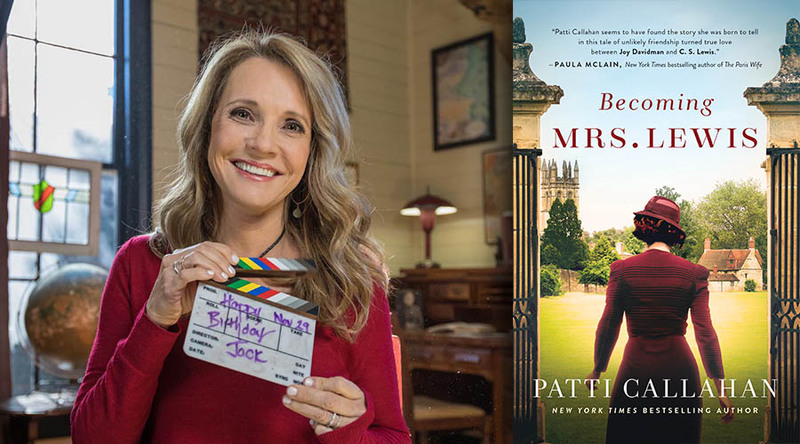 To whet your appetite, I’m excited to share a brief intro from Patti and then part of an interview she recently did with Rachel McMillan. And then she set out to answer that question with her life, embarking on a transformational journey that not only changed her life but also that of one of our most beloved authors of the twentieth century, C. S. Lewis. Her name was Helen Joy Davidman Gresham, called Joy. His name was Clive Staples Lewis, called Jack, and they had a decade-long relationship that culminated in a most improbable love story (a married New York writer, married with two children and an Oxford don) spurring gossip and conflicting stories that are told until this day. This novel is Joy’s story . . .
Beloved novelist Rachel McMillan and I sat down to talk about the novel. Join us in the conversation. RACHEL McMILLAN: While Joy wrote she was the “world’s most astonished atheist” in an essay, Lewis much later echoed her words by calling himself the “world’s most rejected and reluctant convert.” It is clear that Joy had an influence on him but also on his writing. Can you speak to that tenet of their romance? PATTI CALLAHAN: How can we ever know how those we love influence our work or our stories? As Joy and Jack’s lives came together and their deep friendship grew, her words influenced his and his influenced hers. Their friendship began with a letter and blossomed through an almost three-year pen-friendship, therefore words and ideas were their original tools. Their love of literature and story bound them together from the beginning. How could they have not influenced each other’s work, both consciously and unconsciously? RACHEL McMILLAN: Joy is a resonant theme on your social media –can you speak to how Joy Davidman inspires your Joy? PATTI CALLAHAN: Joy inspires me all the time. She is an example of a brave woman who set off on a transformational journey. She reminds me, and all of us, that we might not need to pack up our children and cross an ocean to change our lives but we just might need to pack up other’s expectations and search for the truth. RACHEL MCMILLAN: You spent time in Oxford to truly paint the canvas of Jack and Joy’s world. What was a memorable experience of being in such a historical place: not just as the backdrop of their relationship but as a mecca of history and literature? PATTI CALLAHAN: Walking through Oxford is much like walking through a dream. The city is impossible to describe in its full glory no matter the words we search for and find. I felt very much as if I had walked into Joy and Jack’s story as not much has changed in the structure and sense of the University and city. When I walked into The Kilns or the Bird and Baby, when I strolled through Holy Trinity Church and Magdalen College I felt both a sense of awe and reverence. I also felt giddy with the happiness of new and unfolding stories. I will go back. I must. 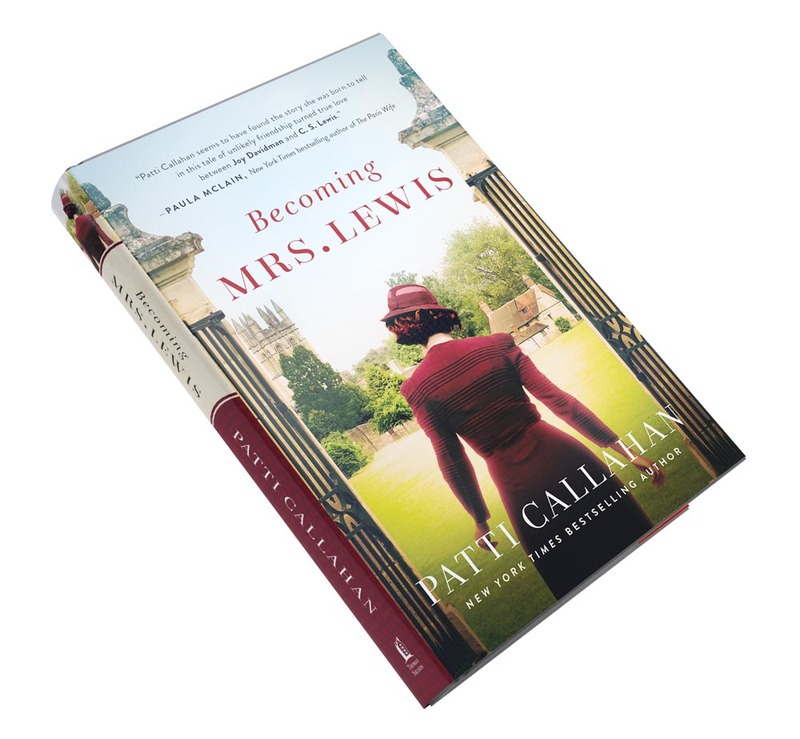 For more insight into Patti’s research and Becoming Mrs. Lewis, visit her website here.